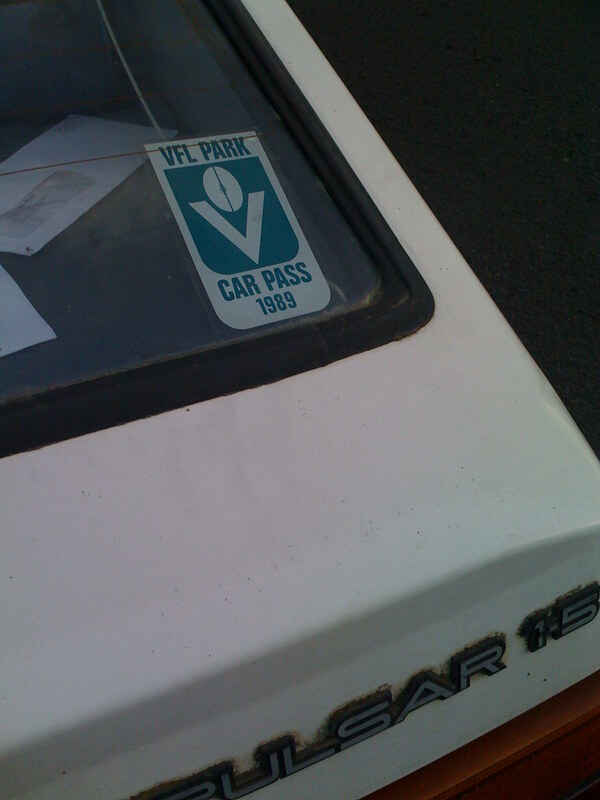 This entry was posted in Boots Happy Snaps and tagged 1989, Car Pass, Footy, Nissan Pulsar, Sticker, VFL, VFL Park, Waverley by theholyboot. Bookmark the permalink. 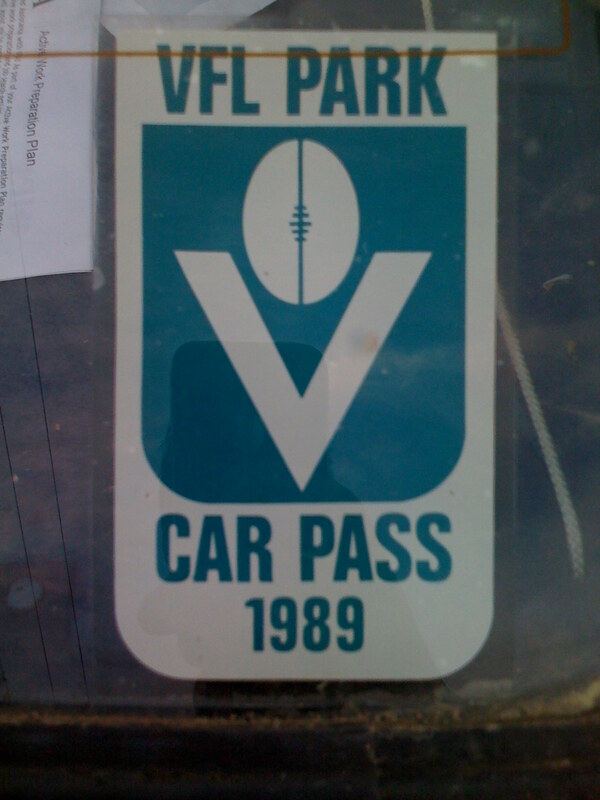 Nice bit of social history there encapsulated in such a simple thing – a car pass.. It’s a wonder the Pulsar got out of Waverley Park. Good find John, that sticker would be worth more than the car! I remember 2 weeks in a row in 1981 when Collingwood played Hawks & Dons the crowds were 90k & 78k. Both times we were stuck in there for around an hour & a half. One of those times my brother had to (carefully) pee into a can in the back seat. The worst part was there being a hundred blue coats when you got there but none when everyone was trying to leave at the same time. The exit point was a flying wedge of cars coming from 6 different lines. Absolute chaos! And Jeff, describing the exit point as a ‘flying wedge of cars coming from 6 different lines’ is both humourous and accurate! And peeing into a can…that sound dangerous! It’s sharp around there! !